Timothy Cotter is a member of the Business Law & Finance Department of the firm. Attorney Cotter will focus his practice on Taxation, Business & Finance, and Estate Planning. Attorney Cotter comes to the firm with nine years of experience in the accounting field. 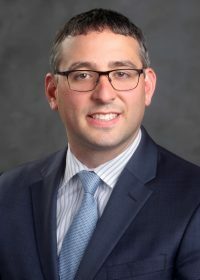 He previously worked at a Big Four accounting firm in Philadelphia on high level tax planning issues, and later at a large regional accounting firm in Wilkes-Barre on a variety of tax compliance issues. Attorney Cotter is also a Certified Public Accountant (CPA), licensed in Pennsylvania. Attorney Cotter earned his Juris Doctor at the Villanova University School of Law. He earned a Bachelor of Arts in Business Economics and Modern American History from Brown University, where he was a member of the varsity football team. Attorney Cotter is a member of the Wilkes Barre Law & Library Association, the Pennsylvania Institute of Certified Public Accountants, and the American Institute of Certified Public Accountants. He currently serves on the board of the Greater Pittston Chamber of Commerce, the Pittston Arts Council, the DuPont Youth Baseball Organization, the Brian Cashmere Scholarship of the Luzerne Foundation, and is a 2018 graduate of Leadership Wilkes-Barre.